(UPDATE 6/29/15) They came, they saw, they jammed. Tens of thousands of fans packed Levi’s Stadium in Santa Clara, California over the weekend to watch the Grateful Dead play the first two of five final shows of the Fare Thee Well Tour, which continues in Chicago this weekend. After setting historic ticket prices on the secondary market following their pre-sale in March, prices have continued to fall since and now each of the three shows at Soldier Field averages below $600. If still searching for a three-day pass, those average at $1,162.40 on TicketIQ. 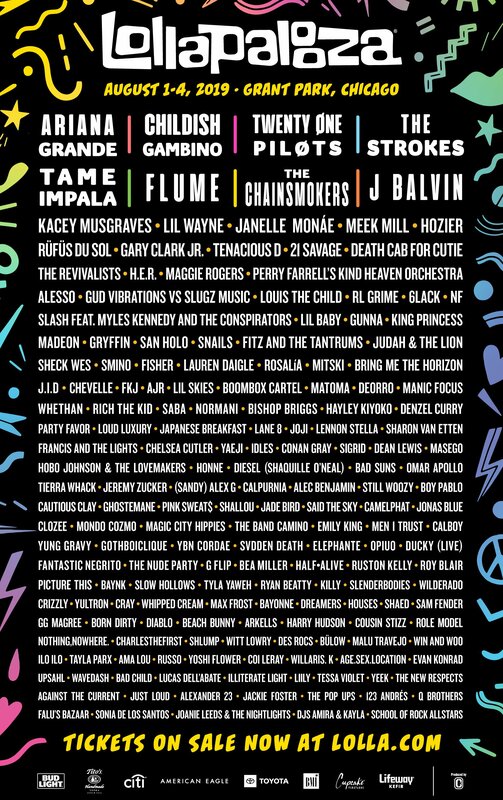 The cheapest available three-day pass is currently listed for $430. The band’s first show on Friday owns a secondary ticket average of $480.90, which is the cheapest among the three gigs. The get-in price for the opening show in Chicago is now $137. On Saturday, tickets average at $569.74 and the get-in price is $155. The final show on Sunday currently owns a similar average price at $568.54. The cheapest ticket to that show is $160. (UPDATE 6/23/15) This weekend, the Grateful Dead will begin their Fare Thee Well Tour at Levi’s Stadium in Santa Clara, California. Hyped up for months, the band is set to officially call it quits under the Dead moniker following its three-show stint at Soldier Field next weekend, and Phil Lesh and Co. have continued to see ticket prices fall on the secondary market. Two-day passes to the Levi’s Stadium shows have taken the hardest nosedive in average secondary price, falling from a $1,376.81 average on Saturday to the current average price of $409.03. The cheapest available pass is now listed for just $38 in Row 21 of Section 416. If searching for individual show tickets, the band’s second show at Levi’s on Sunday will be considerably cheaper on the resale market. That show currently owns a ticket average of $145.05, 29.2% cheaper than Saturday’s average of $205.13. Sunday’s get-in price is now $14 while Saturday owns a $27 get-in price. Three-day Soldier Field passes will much more expensive than two-day passes at Levi’s Field, but fans can expect ticket prices to drop as the shows inch closer. The average secondary price for a three-day Soldier Field Grateful Dead pass is now $1,384.76 and the cheapest available is $180. Individually, each show averages well above $600 on the secondary market. (UPDATE 6/17/15) It’s quickly closing in, and ticket prices are slowly going down. The Grateful Dead will begin their highly anticipated Fare Thee Well Tour in Santa Clara next weekend, playing two shows at Levi’s Stadium before heading to the Midwest for three gigs at Chicago’s Soldier Field the following weekend. However, fans still searching for tickets will find considerably higher prices on the secondary market for the three Chicago shows, which are being dubbed the band’s final shows under the Dead moniker. According to TicketIQ, the average price for Chicago Grateful Dead tickets over the band’s three-night stay from July 3-5 is now $668.49 on the secondary market, 142.2% more expensive than the $276.01 ticket average the band owns for its two-day affair at Levi’s on June 27 and 28. While the price disparity is enormous between the two venues, each show has continued to drop in price since first going on sale months ago. It’s likely that prices will continue to drop, albeit slightly, up until the band officially takes the stage in Santa Clara next weekend. If searching for the cheapest tickets at each venue, the Dead’s June 28 stop at Levi’s Stadium has tickets available for as low as $23 on TicketIQ while their June 3 stop at Soldier Field owns a get-in price of $184. (4/16/16) Grateful Dead tickets are now in the hands of fans. At least those fans have been notified that they have been selected to receive tickets for the recently announced Grateful Dead shows at Levi’s Stadium. After the Dead announced they would play two nights in Santa Clara on June 27 and 28, the band announced all 65,000 tickets for each of the shows would be distributed through an online mail order. Fans were allowed to request up to four tickets (two on the floor) through email and a random drawing would determine which of those fans received the tickets. An actual mail order request was attempted when the first Fare Thee Well shows were announced at Soldier Field, but the response was overwhelming and the amount of tickets requested far exceeded the amount able to be fulfilled. However, the online order request follows a similar structure in a much more manageable way. Emails were sent out on Wednesday evening notifying fans whether or not their requests were granted. Shortly after, the quantity of Grateful Dead tickets on the secondary market started to increase. As of Thursday morning, more than 5,000 tickets were listed on the secondary market across both shows, up 30% from before the confirmation emails were sent out. Prices for the Levi’s Stadium dates are currently below those set to be held in Chicago over July 4 weekend. Grateful Dead tickets at Levi’s Stadium rival the Chicago shows on the first night, though the second on June 28 is the only night of the bunch with an average price below $1,000. Grateful Dead tickets for that night have an average price of $962.32. The previous night has an average price of $1065.22, more expensive than the first night in Chicago. Grateful Dead tickets on July 3 currently have an average price of $1023.80, 3.8% below the first Levi’s show. The final shows in Chicago post nearly identical average prices as tickets on July 4 have an average of $1081.01 and the July 5 performance has an average of $1081.62. It will be cheaper to get into Levi’s Stadium than Soldier Field as well. The get-in price on June 27 is currently $237, while the cheapest available ticket on June 28 is just $163. The get-in prices for the Chicago shows are $253, $247 and $305, respectively. Between the high demand and unique way tickets were distributed, certain precautions are being put in place to assure authentication. Some secondary reseller sites are requiring proof of tickets before allowing fans or brokers to list tickets for sale. There are also some other unique ways these Grateful Dead concerts will be brought to the public. The band has teamed with Fathom Events to bring all three shows at Soldier Field to theaters and closed circuit events. Tickets for those events will go on sale May 4 nationwide.